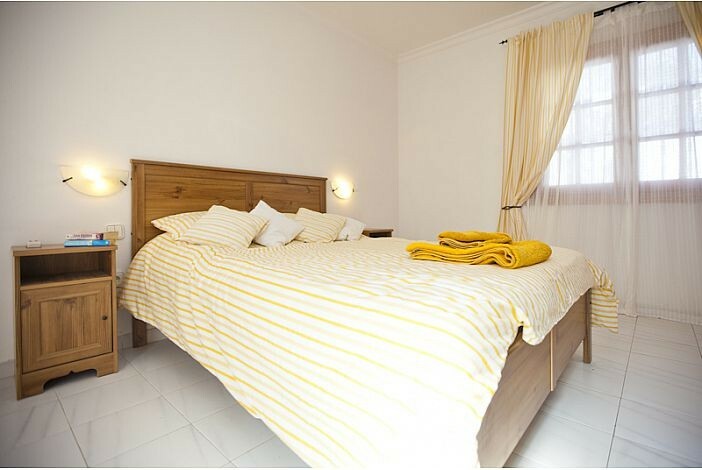 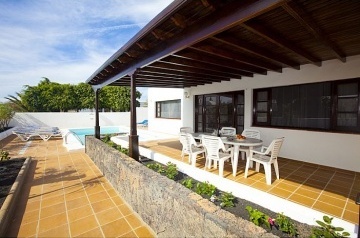 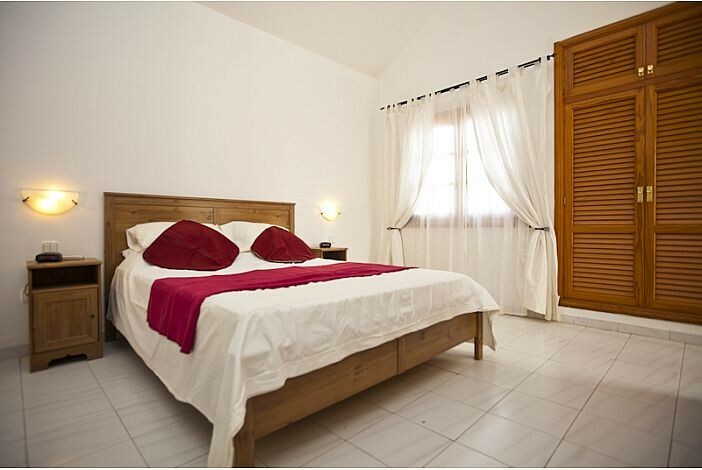 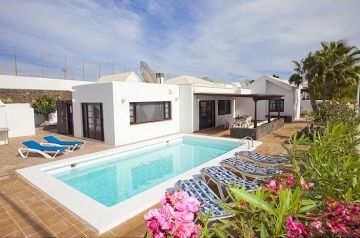 This charming three bedroom, three bath villa is located in the delightful Ã¢ï¿½ï¿½clifftopÃ¢ï¿½ï¿½ area in the old town of Puerto del Carmen. 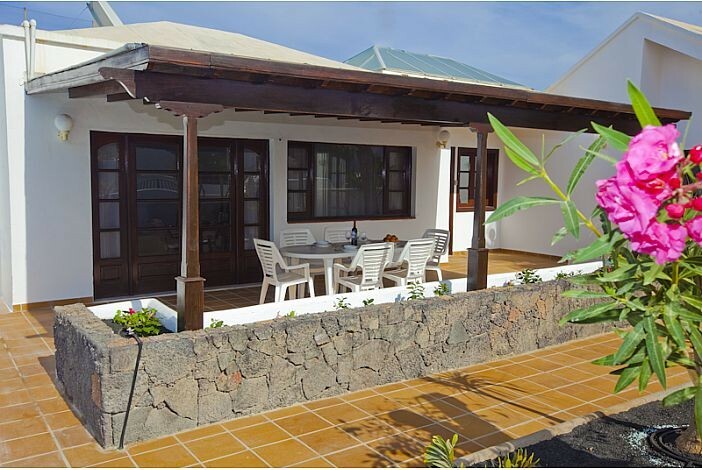 The harbour, with it&apos;s traditional bars and restaurants is approximately a 10 minute stroll and the main resort with it&apos;s sandy beaches and modern night-life can also be easily reached. 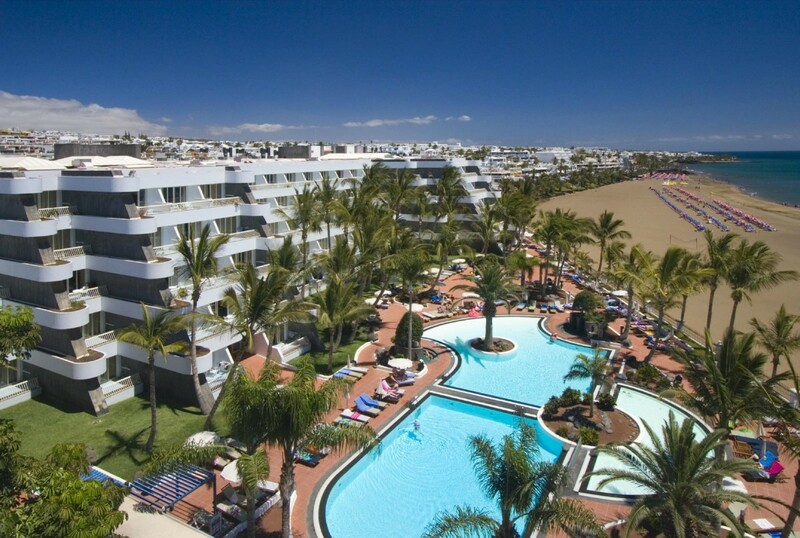 With the Ã¢ï¿½ï¿½clifftopÃ¢ï¿½ï¿½ walk just yards away from the villa, taking you along the coastal route with fantastic views to the very popular marina of Puerto Calero. 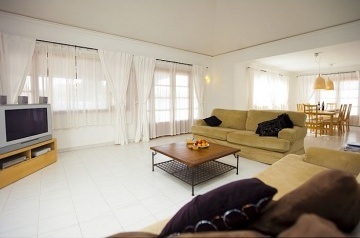 This spacious bungalow style villa is brightly decorated and comfortably furnished throughout, with plenty of light filtering through from the patio doors which lead you to the swimming pool area and covered terraces. 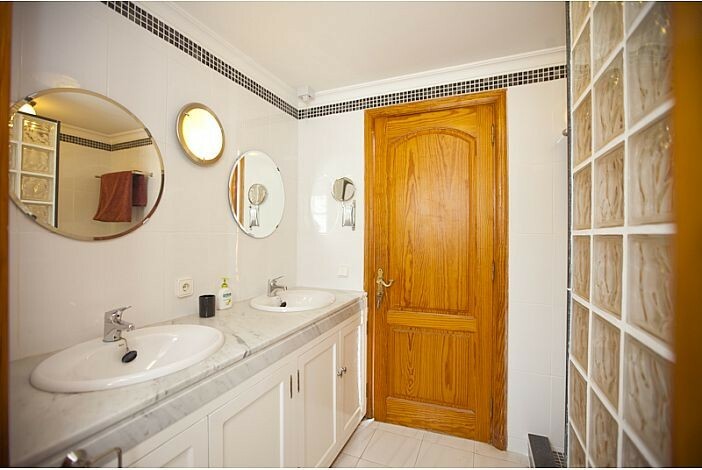 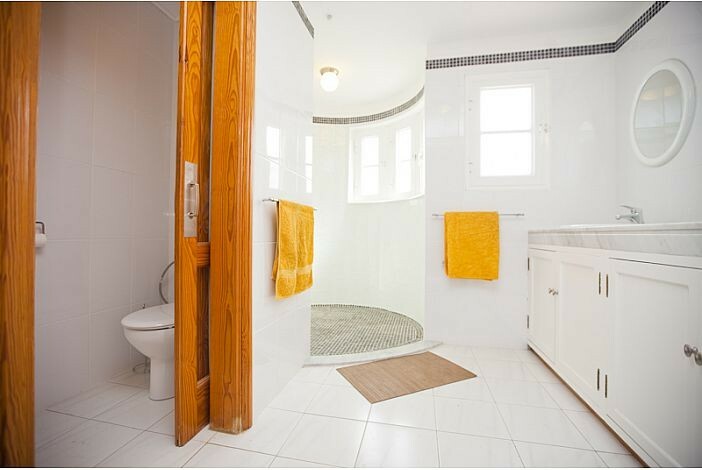 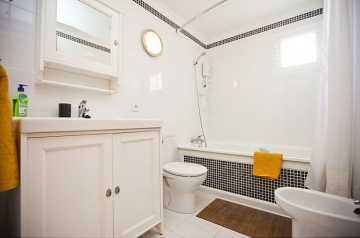 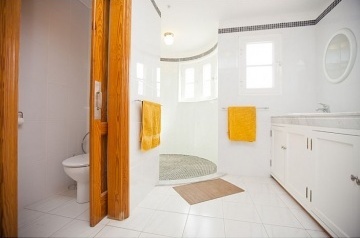 Full size bath and shower, white ceramic washbasin, toilet and bidet. 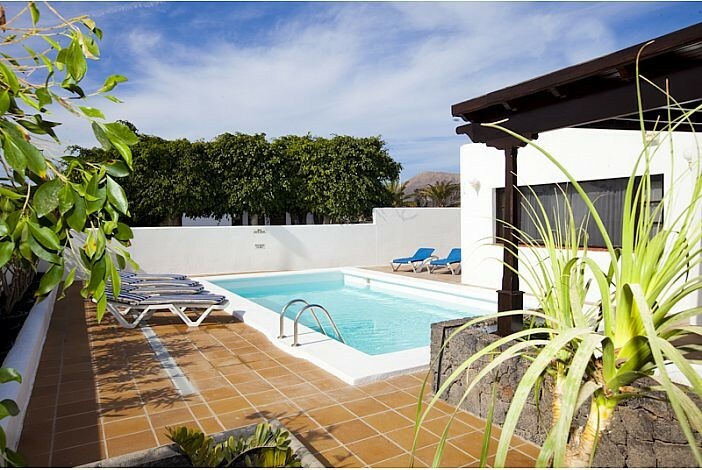 Outside there is a swimming pool, which is heated during the winter months has metal steps and is surrounded by both open and covered terraces with sun loungers, patio furniture, BBQ and mature border gardens.